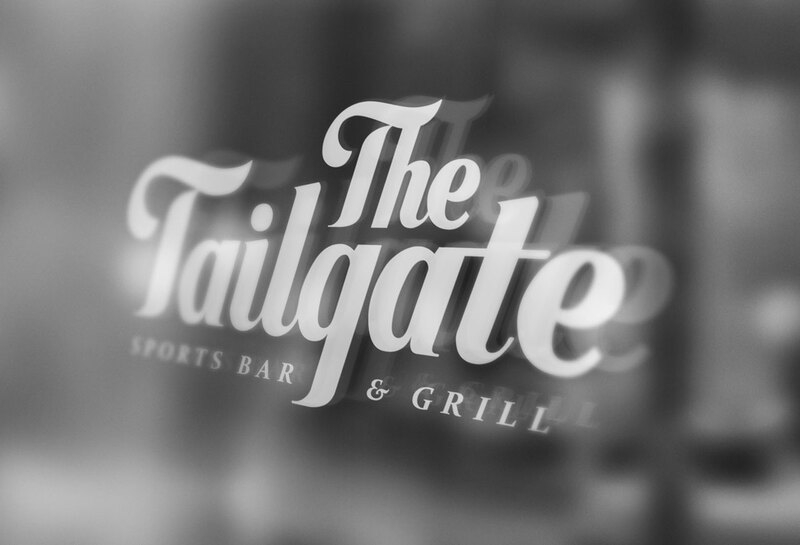 The Tailgate Sports Bar & Grill is the newest bar in Leeds City centre. Offering sports focused, laid-back atmosphere, their aim is to be an all-encompassing bar & grill providing the highest quality service. The Tailgate’s name comes from the American ‘Tailgate parties’, where people would drink and grill food in the parking lots around the stadium, before or after a game. 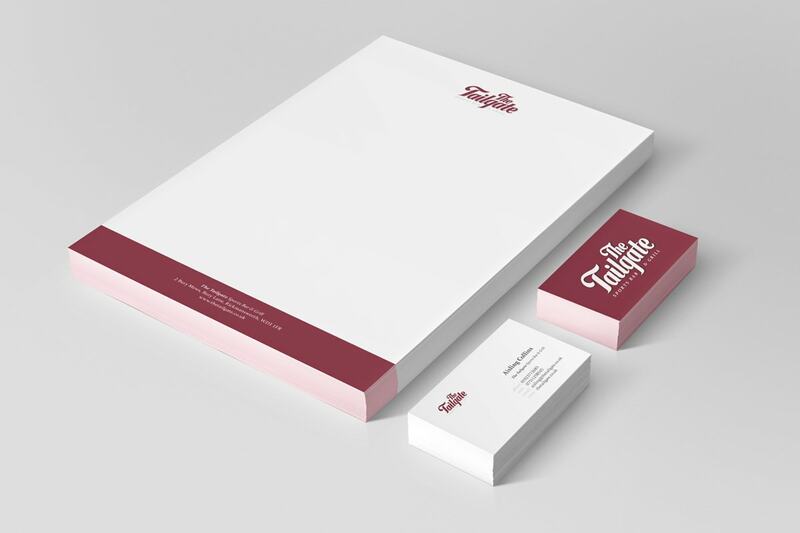 They got in touch with Inkbot Design to create an overall branded bar design and base brand identity, allowing them to pitch to locations with an idea already established. Aisling (the owner) requested a playful, laid-back sports bar logo design to fit the atmosphere she was trying to create. Obviously looking to appeal to sports fans and students, in particular, the brand had to make sure it was ultimately inclusive to everyone since people may bring friends or gather in larger parties for special occasions. Despite it being based on the American institution, I thought it best not to push the stereotypical, US sports bar design on a UK market not used to it, especially when a lot of the American sports aren’t closely followed outside of the country. The stylised bar logo design focused heavily on elegant typography. The flourishes on the leading “T’s” and faux drop-shadows were inspired by traditional Baseball letterforms of the 60’s and 70’s. The italicised typography also gave it a feel of movement and action, something directly relatable to sports. To retain the ‘laid-back’ and calm feel to the bar, a deep burgundy colour scheme was chosen. Aiming for warmth, homeliness and a traditional feel, this transferred well onto the menu and signage/bar design. Stuart is an all round ‘mind reading’ branding mastermind! Looking to revamp your Brand this year?